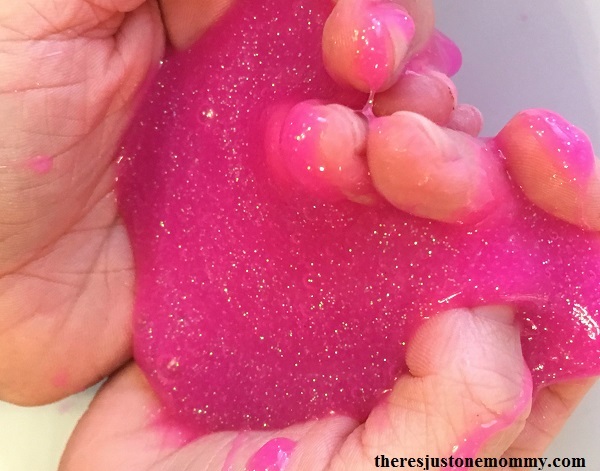 Most kids love playing with slime. My daughter is no exception; she loves getting her hands on a fresh batch of slime. 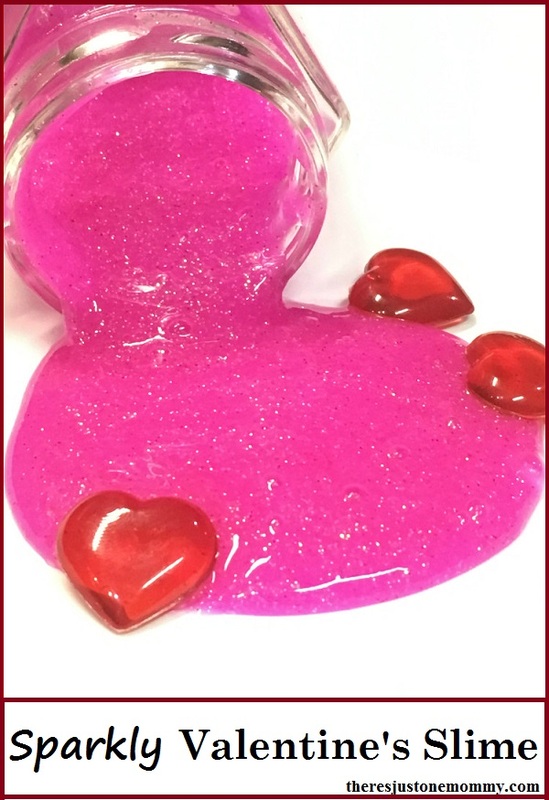 What we came up with is an amazing red and pink sparkly Liquid Starch Valentine’s Day Slime that would be a perfect DIY Valentine gift. 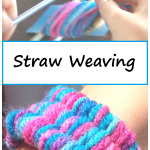 It’s a fun Valentine’s Day activity for kids your child will love! 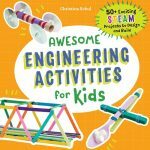 Not only is slime a wonderful sensory experience, it’s also a fun science activity. Like Oobleck (cornstarch and water), slime is a Non-Newtonian fluid, meaning it’s not a true liquid or a true solid. Slime is also a great way to introduce polymers. Check out this great post to find out more about the science of slime. In a bowl, combine 6 oz. glitter glue with 1/2 cup liquid starch. If it still seems too sticky, add a small amount of liquid starch (1 Tablespoon at a time). I have read several recipes that suggest adding a bit of water, a Tablespoon or so at a time to create the slime texture you desire. We were happy with our results of just using the glitter glue and liquid starch. Your results will depend on what brand glue you use. The red turned out beautiful. But the sparkly pink slime won my daughter’s heart. 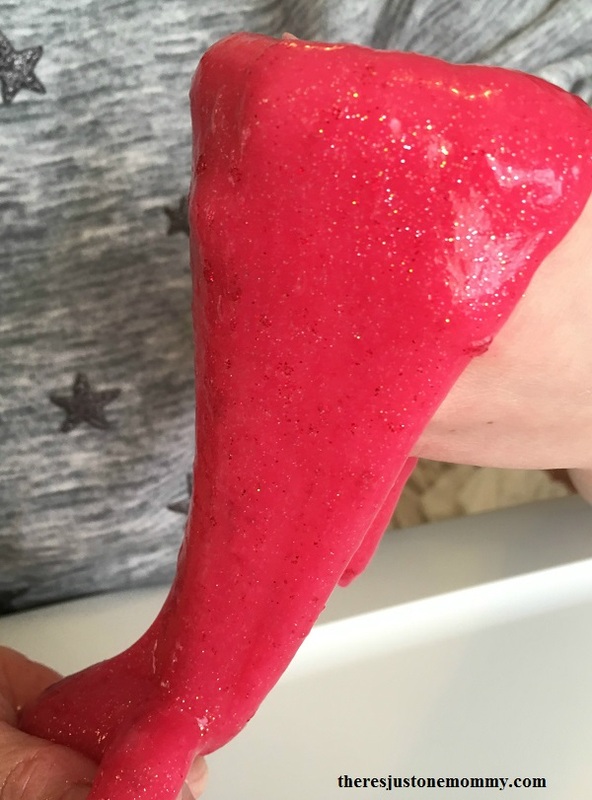 What I really like about this DIY Valentine’s Day slime recipe is you can modify it to fit your child’s interest. My daughter wanted to keep the pink slime just a tad bit stickier, so we used a little less starch in it. 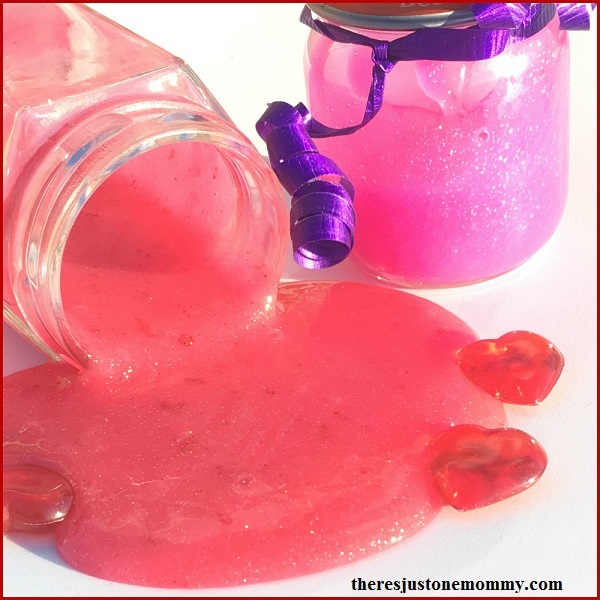 You can put the glitter glue slime in a small jar, add a ribbon and turn it into a simple DIY Valentine’s Day gift. This slime recipe will keep for several weeks if put in a sealed container in the refrigerator. 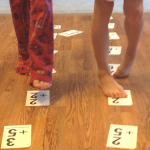 For more fun kids activities like this, subscribe to our twice monthly newsletter! Oooh! That is a fun idea for Valentine’s day. My boys love making slime, goop and all that messy stuff! Pinned. 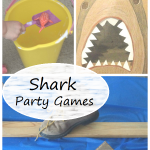 I just KNEW I would find the PERFECT craft for my son’s class party here, Christina! YAY! This is soooo good- and EASY. Just what I needed. Thank you, friend!